What browser should I use? Why is my tasklist blank? Spare5 recommends using Chrome or Safari. 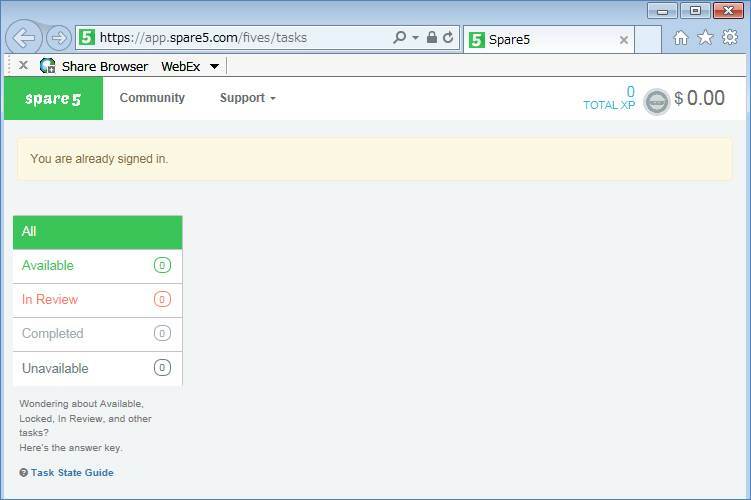 Firefox is also supported, but you may see errors when using Spare5. Due to technical issues, Spare5 does not support Edge, Internet Explorer, or Opera. If you are using these browsers, you may see a blank tasklist, like the one below.